474 in stock Need More ? A new series of prose novels, straight from the worldwide Naruto franchise. Naruto's allies and enemies take center stage in these fast-paced adventures, with each volume focusing on a particular clan mate, ally, team...or villain. 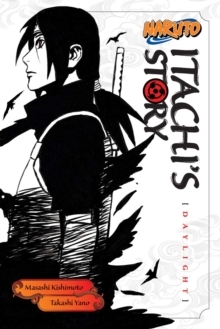 Uchiha Itachi, four years of age. With the hell of war burned into his eyes, the boy makes a resolution: he will rid this world of all violence.